Ahh, it's my favorite time of year again. Just wanted to wish everyone a happy, spooky, frightabulous Halloween and I hope you get lots of candy! Below is an illustration for my Halloween card this year, done with pen and ink and watercolor. 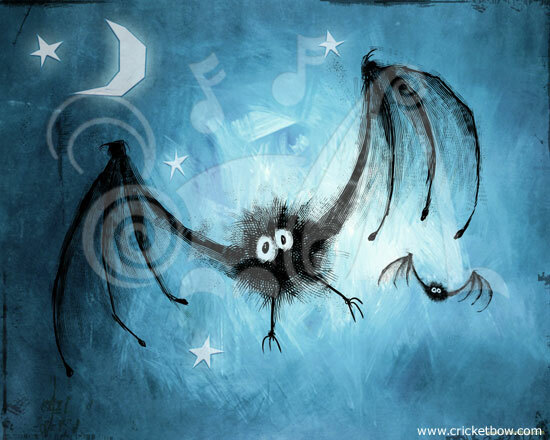 Also, quilting artist Joan Costa asked me if she could make a quilt from my Halloween Bats artwork. It turned out pretty cute. Thanks for sending me a picture, Joan! Happy Halloween from CricketBow Design!